I have been reading Fanfiction ever since I was twelve years old. Now graduating from University, I am and always will be in love with Sesshomaru. My favorite and only Inuyasha pairing is Sesshomaru and Kagome. I will only be writing stories based on the two characters for life. I am the type of author that can't stop writing until all my thoughts are put down. So, you will never see an incomplete or an abandoned story. 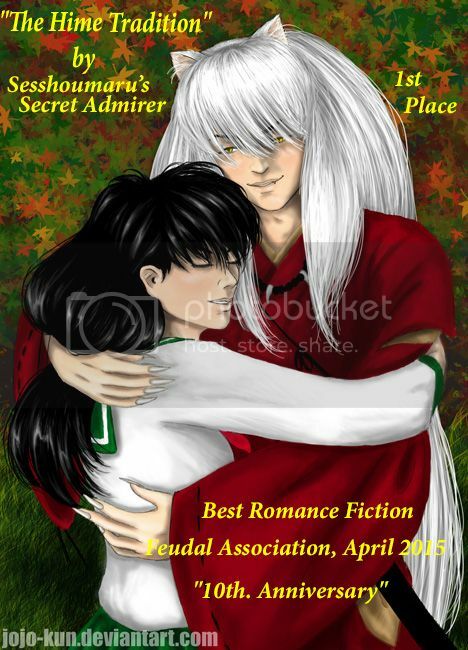 I hope my stories will make you fall deeper in love with both Sesshomaru and Kagome as I have. Japan, Tokyo. Modern Times. Kagome is forced through the well to return to her time. Numb, she thought that Youkais no longer existed in her time. But once she is offered to join a Police Division that is unknown to the public, she soon finds out that Youkais live amongst humans. Zero Division, known for their dangerous missions, Kagome decides to join after seeing a familiar face. A greater evil arises as a consequence of Kagome's action. As a result, she becomes an ally to the Western and Southern Lords. Although Lord Sesshomaru accuses her of being a hindrance, there seems to be more behind his icy mask...(S/K Pairing, CU). Youkais and humans have milestones that mark significant turning points in their life. He, who was not affected by time, never cared nor understood what these milestones were. So when she began to appear from the well every few centuries, she became the milestones that marked along his long life. [Sequel to Christmas Magic] After her childhood friend disappears from her life, 10 years have passed and she has achieved her dream job. This sequel reveals Kagome's side of the story and how she's endured the loss after that fateful Christmas Day. Do you still make banners for stories? HA I just read the feedback you left on I'm surprised Dokuga didn't alert me to this addition to my wall. Soooo even after nearly half a year later I will still say "I enjoyed 'The Hime Tradition immensely' You got Talent Girl! Feedback from Sesshomaru's Secret Admirer: Thank you for the encouragement! I am so glad my stories can make you smile. Yeah well, I am inclined to extend the same praise to you! Your works always make me feel something by the end when I go to review. And if I were to write another chapter, tell me what song do you think would fit a Kagome/Sesshomaru romance scene? Yes, just call me the wise, surprising makes-people-fall-in-love story master! Anyway, glad you liked the chapter, Maru-chan! Happy New Year! Feedback from Sesshomaru's Secret Admirer: Happy new years to you too! Peach-chan! Feedback from Sesshomaru's Secret Admirer: I am glad you have read my stories. I write only honest reviews, so I am glad you were inspired. I can't wait to see where you go with this story.